Dear Christopher Nolan, I hope you read this someday, even if it's someday in the far far away future, or perhaps even in the limbo of my dreams (to the other readers, you'll get the reference after you see the movie, and trust me, you WILL see this movie). What I hope you know on that far off someday is that I thank you from the bottom of my heart for being one of the truly great directors, not just of my generation, but for many generations to come. Mr. Nolan, you might not know this about me, but I'm an enormous fan of Steven Spielberg and to me, with Inception what you've done is reached the level of Spielberg and Hitchcock, and I'll even throw in Welles and Kubrick (albeit begrudgingly), the level of the master storytellers. I want to thank you for recognizing that film, although a visual medium, has at its heart a story, a story that can sometimes be as simplistic as a single sentence, and yet, it's what is built around that sentence that matters. Your visuals are, of course, stunning, so stunning that there were moments where I actually thought that my mind might have to be caught in my half-filled paper soda cup because it would start leaking from my ears; but your story is what kept me hoping and watching and completely engaged the entire time. It's your story that made the entire audience let out one, frustrated and fascinated breath at the same moment at the end. Moments like that only happen when there's a story to care about, and, Mr. Nolan, you've brought us quite a story to care about. In a summer where I could give a crap and a half less for just about every 4 out of 5 movies, your film is the reason I still shell out $8.75, and I think I got a bargain. So thank you, sincerely. I apologize, I just had to get that out of the way, to clear my head and make way for more rational thoughts. Now that that's done, lets get down to brass tacks. 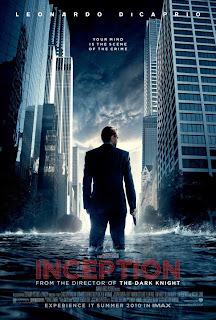 I'll start off by saying that Inception is not an EASY movie. It's not an easy movie in the way that summer blockbusters are supposed to be easy. It's not dumbed down, in fact, it refuses to be dumbed down. It fights tooth and nail to make your brain work so hard that you'll wish that they had a Gatorade injection straight to your cortex. But the real beauty of the movie is that, even with the mind-scrambling that you'll undergo, the characters and the multiple plot lines have been so well laid out, that you'll find yourself engrossed even if when the movie ends you just say to yourself "wha...?" It's the story of a man trying to get home. That's it, except that the man in question is an extractor, more specifically a dream extractor. 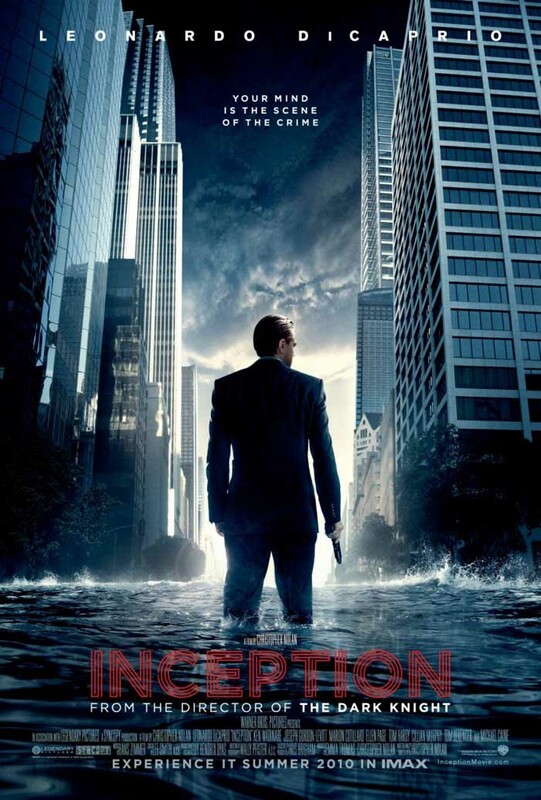 Cobb (Leonardo DiCaprio) goes inside people's dreams to extract their deepest, darkest subconscious secrets and then sells them to the highest bidder in the most imaginative form of corporate espionage to date. His skills at dream navigation have gone astray and now, he must pull off one last job to get him home. To help him pull of this high-risk heist is a team of specialists. In a way, they're kind of like a comic book crew, each with their own set of skills. Arthur (the fantastic Joseph Gordon-Levitt) is the right-hand man, for lack of a better term, Cobb's assistant, skilled at making the impossible, possible. Ariadne (Ellen Page) is the architect; Eames (the truly enigmatic Tom Hardy) is the forger, and Yusuf (Dileep Rao) is the chemist. What follows is a plunge into worlds you could only imagine. After the set-up, you're in for more than an hour spent living by the rules of dreams. One of those rules is that the deeper you go, the more time slows. The way that Nolan plays with time is one of the most intriguing aspects of the film. That you begin to believe you're experiencing a slow-down of time, that maybe you're living the dreams too is only enhanced by the magnificent editing, including cut backs to a time-lapsed fall of a van that constantly proves as a reminder to the audience, our very own totem to remind us where we are in the film. The other rule is that there are dreams within dreams, depicted clearly enough that you'll be able to keep up with. Each dream has a very specific setting, unique costuming and again, it's own time scale. I won't ruin everything, because this is just one of those movies that you have to see for yourself, but it's a trip that you probably won't hate taking, at least I hope you won't taking it. It's very possible that I've already hyped it up too much for you. In which case, I'm not really sorry for, because, let's face it, it's your own fault for reading my utterly intriguing articles. But there are a couple more things that I'd like to say before you make your own decisions. First of all, the standouts for me here, despite the star power of DiCaprio, are Gordon-Levitt and Hardy, and it's not simply because they're the equivalent to aloe on a sunburn. They're the closest thing to comic relief and Gordon-Levitt duking it out with gravity is something to see. Essentially, each one of the characters gets to shine at a different dream level, and Arthur's dream level is the one where the visuals will really smack you in the face. Just watch for the moments that follow after Arthur must decide how he'll wake up the others once he's without a stabilizing force. I know this all sounds completely foreign, but trust me, it will make sense. There are influences of The Matrix, a little Shutter Island, a touch of old-school James Bond and the other Nolan films, but it feels like the combination is still unique and fresh. Anyway, I'm beginning to, or have been gushing and that's just not professional. Bottom line: my favorite movie of the year so far. I haven't felt like this since leaving the theater after Inglourious Basterds.